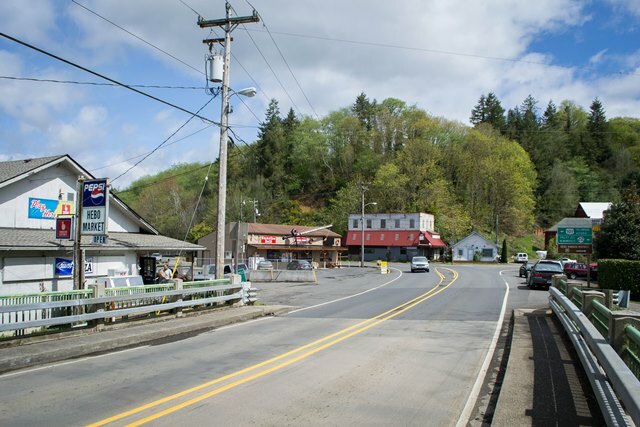 Located in the southern part of Tillamook County, Hebo boasts great fishing in both the Nestucca Rivers and Three Rivers! 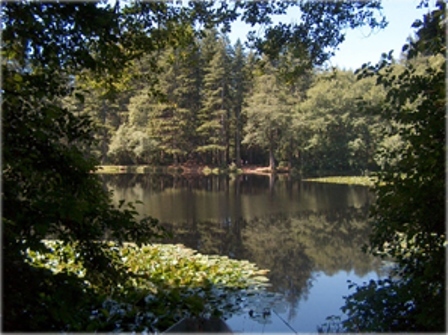 Mount Hebo has a fabulous campground that includes a lake full of trout! 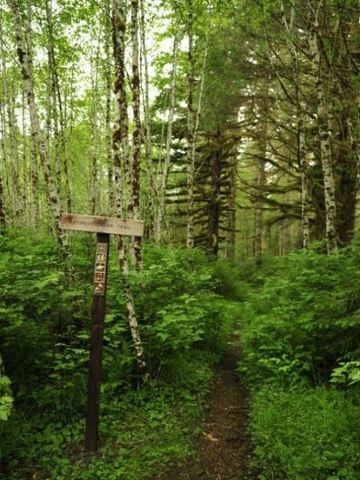 In the 1850s, settlers in the Tillamook area constructed a trail over the Coast Range using old Native American paths. Somehow, heading up over the wind-blasted 3,154 ft summit of Mt. 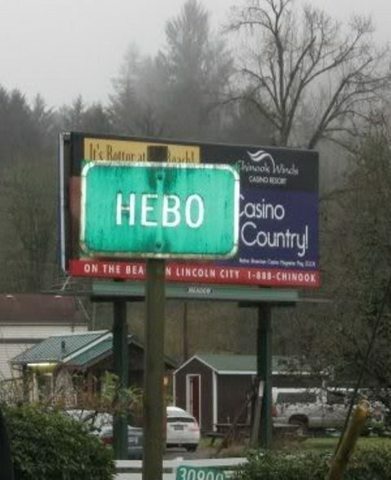 Hebo was deemed the way to go. In a few years, a wagon road was carved along the Nestucca River and the trail was lost. Mt. Hebos summit became the site of a weather station and, from 1956 to 1980, a U.S. Air Force radar outpost, part of the line of defense against a Soviet missile attack. A residential area of 27 homes existed where the horse trailhead is now. Mt. Hebos weather was not kind to the military: three times during the existence of the station, the radar dome had to be replaced after being destroyed by storms. None of the original Air Force buildings remain and the land has reverted to the Siuslaw National Forest. In 1975, a USFS employee rediscovered traces of the old settler trail and an eight-mile section of the route was reestablished for hikers and horses. The trail is well-signposted and it is generally easy to follow the posts placed in strategic locations. 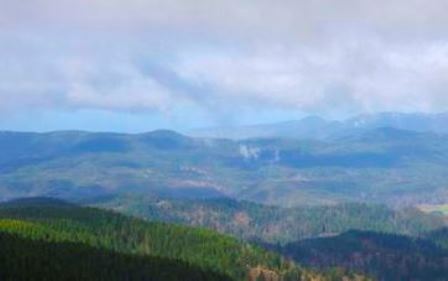 Being in the Oregon Coast Range's wettest spot, Mt. Hebo can get several feet of snow in a winter, so check ahead of time for conditions. The first half of the trail, from Hebo Lake to the summit is done more frequently. The second half, from the summit area down to South Lake is far more remote and secluded. The entire trail can be done as a car shuttle if the road to the South Lake Trailhead is open.